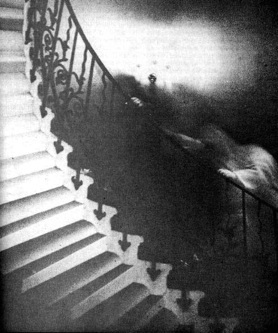 Finney is on me and I can’t take my own picture so here’s the Tulip Staircase ghost. From About.com. Fun, no? Today there’s a dog in Halloween costume thing … somewhere. Was it Washington Square. Now I forget. No, maybe it was Tompkins Square. But that should be worth some great pictures.